Scottish property looks ever more tempting from south of the border, not least because the price differential with London and the South-East has never been higher. For the cost of a decent flat in SW3, you can buy an estate with a country house, hundreds of acres and sporting rights in a magnificent setting. Of course, Scotland is not a homogenous market, but breaks down into different divisions. 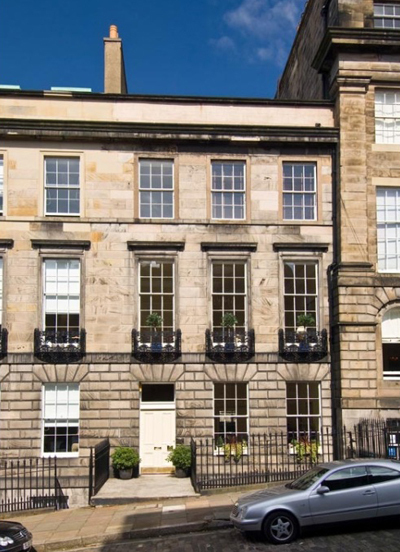 In the premier league, the Edinburgh town-house market is still turning over quickly and you won’t find a classic Georgian property in the New Town for anything less than £1.5 million. As a result, there has been a ripple outwards into the first-division areas of Fife, Perthshire and the Borders, according to Simon Brown of CKD Galbraith (0131-240 6960). A five- or six-bedroom period house with a few acres and easy access to the capital costs £650,000 to £750,000.  to Jamie MacNab from Savills in Edinburgh (0131-247 3700). Trophy properties with a few hundred acres near the ‘oil capital of Europe’ can sell for as much as £2 million. The west coast is mostly in the second tier, although properties with an exceptional view, position or history can sell quickly for higher prices, explains Michael Jones from Knight Frank (0131-222 9600). A pretty waterside cottage will cost upwards of £375,000 and you can still find attractive six-bedroom lochside homes for just £325,000 in Argyll & Bute. An historic property with 10 acres of land, Lickleyhead Castle is a Grade A-listed castle built to a simple L-plan and located just outside the village of Premnay, 28 miles from Aberdeen. Initially built as a tower house in the 16th century, and with an additional wing added in the 18th century, the property offers classic period features, including a stone turnpike circular stairway. Accommodation is laid out over four storeys, and comprises seven bedrooms, seven bathrooms and four charming reception rooms. Outside, the gardener’s cottage provides two further bedrooms, and the grounds include a walled garden, parkland and amenity woodland with a stream running through it. Part of the Summer Isles archipelago just off Wester Ross, Tanera Mòr, whose open market launch was featured in the June 19 issue of COUNTRY LIFE, is an extraordinary island. Its history stretches back to Viking times and its landscape is littered with hidden lochans, sheltered bays and far-reaching views -you can see the Outer Hebrides to the west and Assynt to the north. Several properties dot the 800 acres of land. The principal residence is the Old School House, which sits on an elevated site and has three bedrooms and two bathrooms, plus reception rooms with excellent views. There are eight further cottages and a café on the island, plus a post office that issues annual stamps prized by collectors around the world. 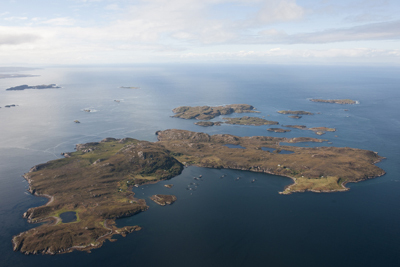 The largest of the Summer Isles, it was Tanera Mòr that inspired Island Years (1940) and Island Farm (1943) by the naturalist- philosopher Frank Fraser Darling, who transformed the isolated island into a working farm. Probably one of the finest city-centre properties in Edinburgh, this A-listed town house offers versatile family accommodation in nearly 6,000sq ft over five floors, with five bedrooms and a selfcontained two-bedroom flat. Detailed period features include cornice work, mouldings, fireplaces and cupola. The house comes with a private garden and additional shared garden access. 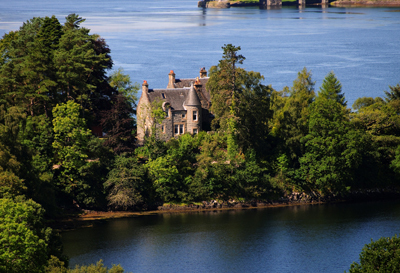 Located just six miles from Oban, Dunfuinary is a handsome lochside house built in the Scots Baronial style in 1889, and extended in 1908. It’s only been owned by three families in more than a century and comes in excellent decorative order with elegant interiors. The principal reception rooms include a turreted drawing room with open fire and panoramic views over Loch Etive, and a formal dining room with a richly coloured, panelled ceiling and an open fire. There are six bedrooms-the master suite is on the first floor-and a study in the attic. The house comes with about an acre of attractive gardens, which stretch down to the water’s edge and are peppered with rhododendrons. 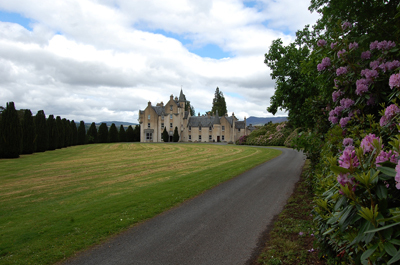 The Dall estate, on the shores of Loch Rannoch in Perthshire, has a long history. The clan name (Robertson) and lands were gifted by Robert the Bruce, for service in the Scottish wars of independence and the estate has only changed hands three times since 1347. 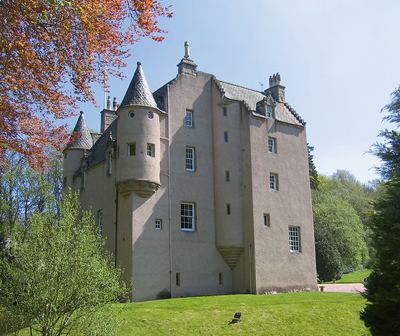 The house dates from 1855 and was designed by the architect Thomas Mackenzie, who built Cawdor Castle. Inside, it retains many of its Victorian period features and contains 28 bedrooms, a cinema room, a library, four reception rooms and some turret rooms. Sixty acres of grounds comprise woodland, meadows and mature trees, as well as water frontage and riparian rights on the loch, and shooting, stalking and fishing are available on the estate.